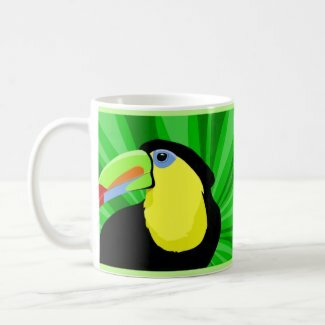 Add some color to your day with this bold Toucan mug. 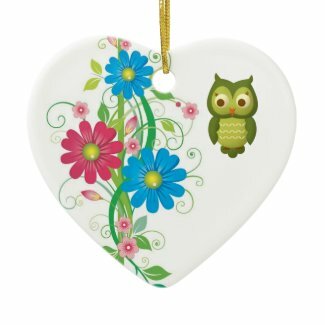 A great gift for any bird lover’s collection. Available on 7 different types of mugs and 2 different sizes. Shown here on the 11oz. Classic White Mug. This design is an original watercolor by Kelly Pounds. 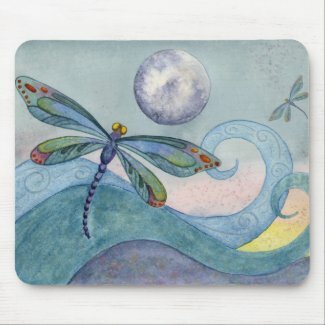 The beautiful mousepad will add some serenity to your work space whether at work or at home. A great gift for the dragonfly lover close to you, this artwork will be treasured for many years. 9.25″ x 7.75″ – Perfect for any desk or work space. Durable cloth cover is dust and stain resistant. This beautiful Blue Fronted Amazon Parrot is an original painting by Carolyn McFann of Two Purring Cats Studio. This will make a great gift for the parrot lover close to you and a treasured keepsake for years to come. 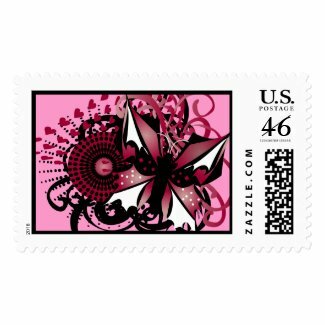 These pretty, bold butterfly stamps will add some color and pizazz to any envelope. 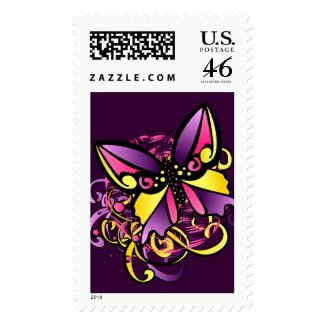 They are customizable, allowing you to change the background color or add a personal message (some restrictions do apply to postage stamps since they are official US postage). Landscape: 2.5″ x 1.5″ (image: 1.7″ x 1.2″). Portrait: 1.5″ x 2.5″ (image: 1.2″ x 1.7″). Image aspect ratio: 5 x 7. Keep in touch with friend and family any time of the year with this beautiful Rainbow Lorikeet greeting card. A must have for any bird lover. No bird lover will be able to resist this darling baby Toucan. Dress up your desk at home or at work. 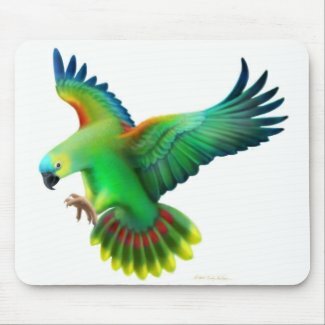 This mouse pad will make a great gift for the friends or family that love birds. Your kids will love these cute pink shoes with green dragonflies. A great Christmas gift that can even be personalized to make a unique, one-of-a-kind item for your kids. They will be the envy of the playground. These Keds shoes take your kids from the classroom to the playground in comfort and style. 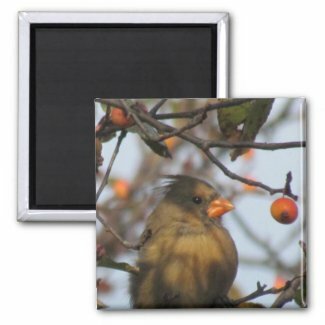 Add some flair to your refrigerator with this magnet featuring a lovely female cardinal sitting in among ripe crabapples. A gift any bird watcher will be happy to receive! 2″ x 2″ – Standard Size. Printed on 100% Recycled Paper. 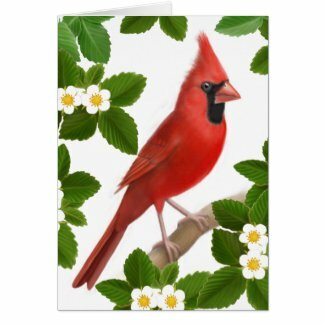 This beautiful male Northern Cardinal is an original from artist Carolyn McFann from Two Purring Cats Studio. This card is customizable allowing you to enter your own text and make it a lovely unique gift for family and friends. A great option for any bird enthusiast!